Wide ranging experience of paediatrics. Includes children's ward, paediatric clinics and baby clinics. At JR it also includes some time on SBCU. Nights – 9pm to 9am – approximately once every 8 weeks. Nights are split into 4 nights and 3 nights. Nights 9pm to 9 am. Regular teaching programme (consultant led, trainee led, x-ray, case presentations). Lots of bedside teaching. You learn something new every day. See and do as much as you are able to. The details are correct at the time of writing but are subject to change. 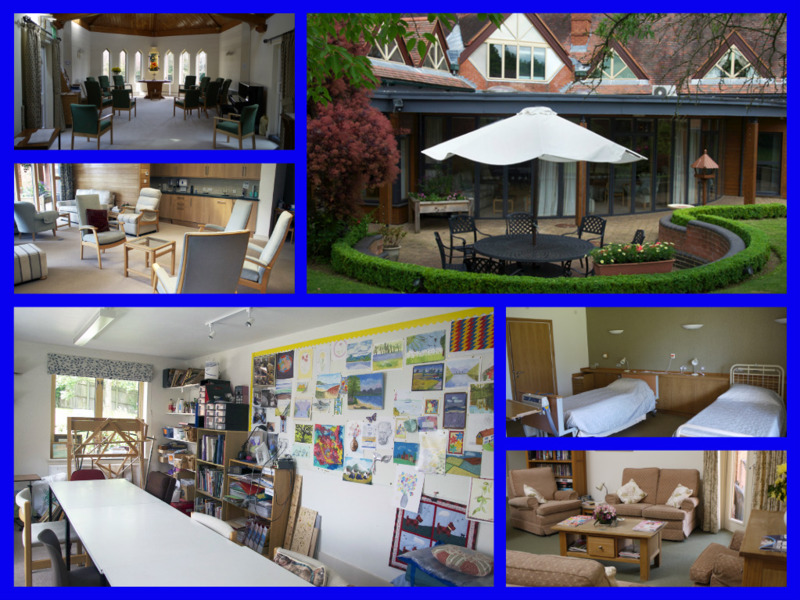 Ward doctor for the inpatient unit at Katharine House Hospice. Up to ten patients are admitted for reasons such as symptom control, end of life care, or respite. Working with two palliative care consultants at an inpatient and outpatient palliative care unit. Each day begins with discussions with the palliative care nurses and consultants about community patients. Great opportunity to learn about managing patients in the community and how to make decisions about admission. Wednesday afternoon MDT meeting. All the patients at the inpatient unit over the last week are discussed. This is a good way of learning about every aspect of patient care including psychological, social and financial issues. No weekends/late shifts/nights or bank holidays currently but this may change. Take the opportunity to learn about all aspects of the care of palliative care patients from the whole palliative care team. Take advantage of the regular teaching available from seniors. This post is very relevant to general practice and I do recommend it. It is a very well supported, consultant led job with regular teaching. We get the opportunity to learn at every step and seniors are very happy to support us throughout. There is always senior support and if there are any questions / doubt we can ask for help. The emotional challenges of the job - you have to behave like a human being and perform like a professional. It can be upsetting, frustrating or sad in to see patients dying frequently. Support is there if you need it, we all support each other and do reflect. Difficult conversations with patients or the families for example if a patient is approaching end of life or to discuss resuscitation. However, there are many opportunities to improve our communication skills and again we are well supported if we are out of our depth. To look after complex patients can be challenging. For example, if pain control is not responding to usual management or it is more related to their psychological issues like anxiety or frustration related to their disease or fear of dying or denying the process of dying. We do come across ethical issues regularly for example differences of opinions within families about management plans. Ward doctor for an inpatient palliative care unit with 18 beds. You are responsible for many day to day discussions with patients and families. You are never expected to do anything you would feel uncomfortable doing but certainly encouraged to become more comfortable with difficult discussions. On calls involve covering the haematology and oncology wards. On calls are well supported. Late shifts - on average one a week from 5pm with handover at 9-9.30pm. Nights - two sets of nights in 3 months (one set of 3 one of 4). Weekends - Two in three months (12.5hrs fri/sat/sun). Opportunities available to go out into the community with palliative care nurses and to sit in outpatients clinics. Spend some time with the chaplain and art therapy team to discuss their role. The staff - there is a very closely knit MDT at Sobell House. The staff group are expert, supportive and communicate well amongst themselves. You will be made to feel welcome and that what you do is worthwhile. The relationship with the patients and families. Lots of one to one time with the consultants who are very approachable and keen to hear new ideas, answer any questions. I developed a lot more confidence in end of life medication prescribing and symptom control. I also feel a lot more comfortable in initiating conversations regarding end of life which before I found challenging. The role really helps develop advanced communication skills. This is an emotionally challenging role. Can feel like many sets of nights and weekends! On calls can be very busy, but also very educational working alongside expert nursing staff. The weeks you also work the weekend can be very tiring but you do get the Thursday before and the Tuesday after a weekend worked off. (This may be changing to a Monday off where possible to facilitate attendance at Tuesday GP teaching). It can be challenging to balance ward work with attending journal club. Often on the ward there may only be a GP trainee and a consultant so the GP trainee may carry out independent ward rounds. The Elms Centre, Banbury (on the Horton General Hospital site). On call out of hours is either at the Warnford Hospital (Oxford), Littlemore Hospital (Oxford) and the Fullbrook centre (Churchill) covering the psychiatry wards. Or at A&E at the John Radcliffe Hospital (Oxford) and the Horton (Banbury) as liaison psychiatry. On call late shift: 5pm-9.30pm if at the JR, 17.00-21.30 if at the Warneford. Aim to leave day job by 16:00 as after this takes an hour or more to get to Oxford. Psychological medicine is in the John Radcliffe Hospital, Oxford and covers the whole of OXFORD UNIVERSITY HOSPITALS NHS FOUNDATION TRUST. The service has 10 consultant psychiatrists and 20 psychologists and is part of the acute trust. Consultant psychiatrists are integrated into acute and geriatric medicine, neurosciences, palliative medicine, oncology, obstetrics and children's services. There are outpatient clinics in oncology, obstetrics, neuropsychiatry, medicine and paediatrics. Referrals are also received from all sites and departments across OUH. There will be opportunities to work across these departments depending on personal interest as well as attend clinics. Based in the John Radcliffe Hospital, Oxford and covering all of OXFORD UNIVERSITY HOSPITALS NHS FOUNDATION TRUST. No shift or night working. Plenty of opportunities to see patients independently and increase skills and knowledge in psychiatric conditions. Consultants are happy for you to attend clinics with them. Opportunities to get involved in teaching for medical students on four week attachments to the department, foundation doctors, nurses, and midwives. Ample opportunity to be involved in audits. Well supported but plenty of opportunity to manage patients independently. Consultants very willing to teach and weekly tutorials consolidate knowledge and allow time to complete WBPAs. Able to spend time in particular areas of interest. Patients are often complex with multiple medical co-morbidities as well as mental health concerns.